From Sleek, I bought their new cream contour kit and one of the I-Divine Eyeshadow Palettes. I got the medium one because I fake tan quite a lot and it suits me perfectly. 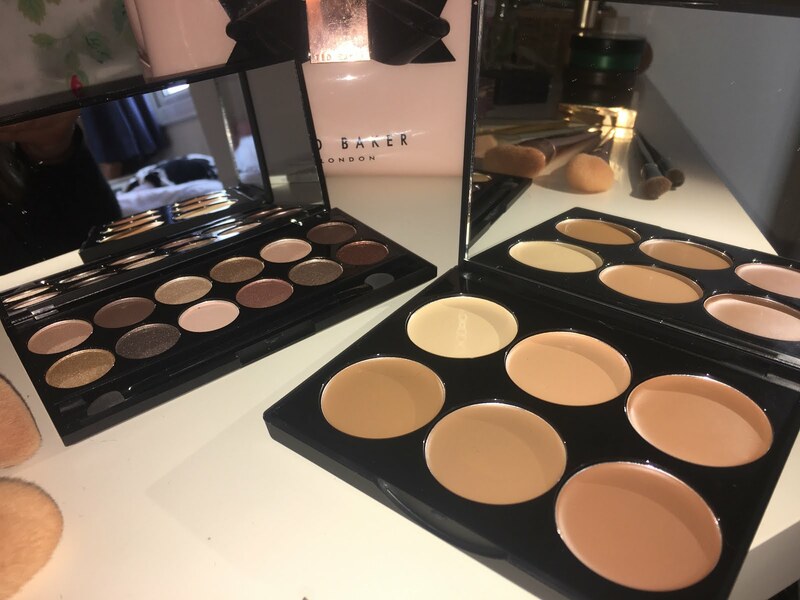 I love using the lightest shade for cheekbones and the second shade for the jawline, and the second darkest shade in the middle is my favourite for contouring because it comes out nice and dark and is the coolest toned brown of all them. 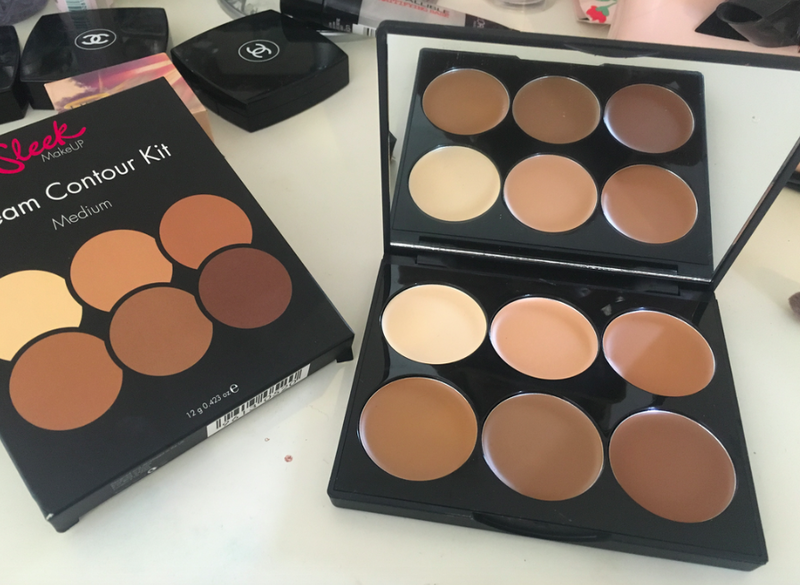 I much prefer using cool toned brown because it just looks way nicer on my skin and I think it matches my Hoola bronzer really nicely. 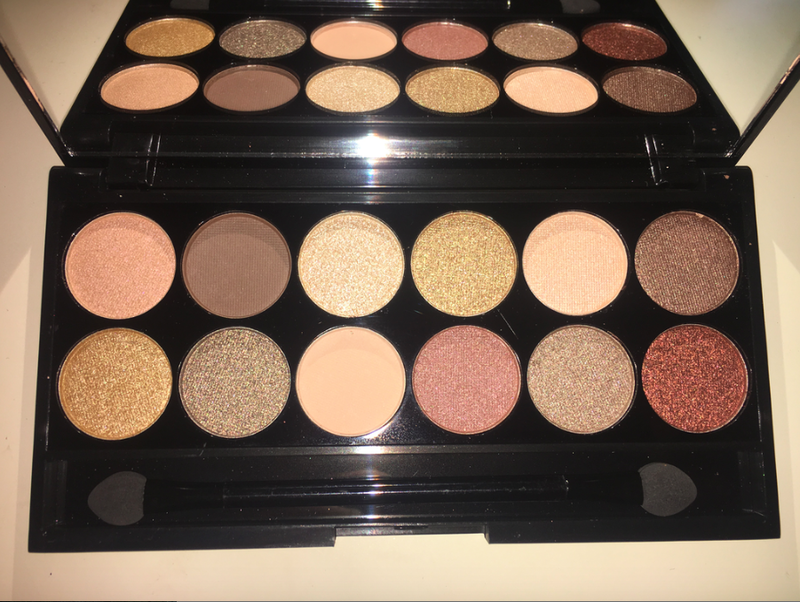 I also picked the I-Divine Palette in the shades "All Night Long" because it has a mix of matte and shimmer colours and it has a really nice light champagne type colour which I really like. 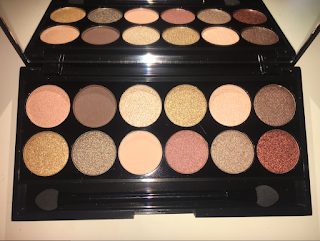 This palette is amazing for the price I'm really pleased with it - for a really dramatic and intense colour you have to pack it on quite thick; some of the darker shimmer shades aren't quite as pigmented as they could be but the matte shades are perfect bases and they blend really nicely. 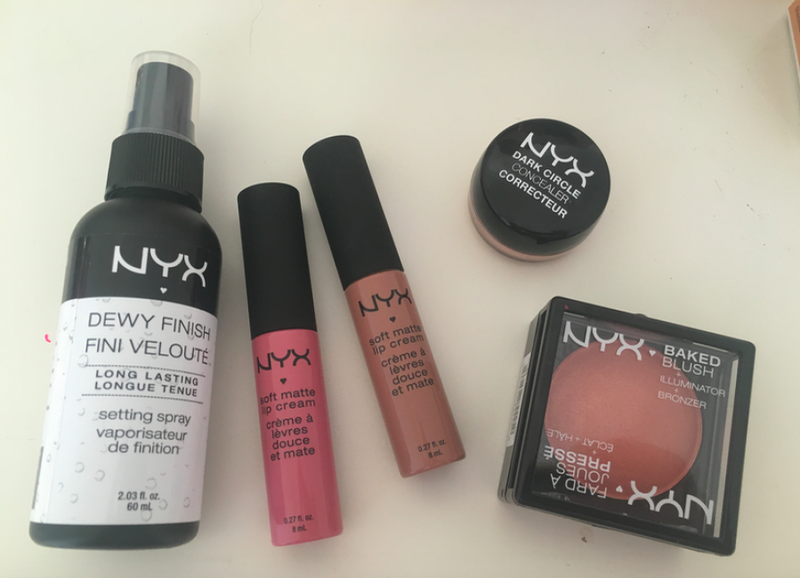 Nyx is a brand I was really new to but I really like my lip lingerie liquid lipstick so I thought I'd try some more of their matte lipsticks. They have so many colours of their soft matte lip creams and I bought them online so I was kid of guessing when it came to colours but I went for London and Milan. London is the brown colour which I really like, its really subtle and I like wearing it with a darker brown lip liner. Milan is the pink and its a bit brighter than I thought but I like it anyway especially for the summer. 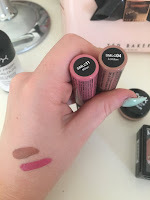 I actually prefer the formula of these to the lip lingerie one I have as they don't dry out as much. From Nyx I also got one of their baked blushes. This is basically the only product I'm a bit dissappointed with, its not really pigmented enough. It looks pretty on the skin but its more of a shimmer than any colour. I also find it quite difficult to get any product on the brush from it. I'll still wear it but I'm still on the look out for a good coral/orange blush for summer. 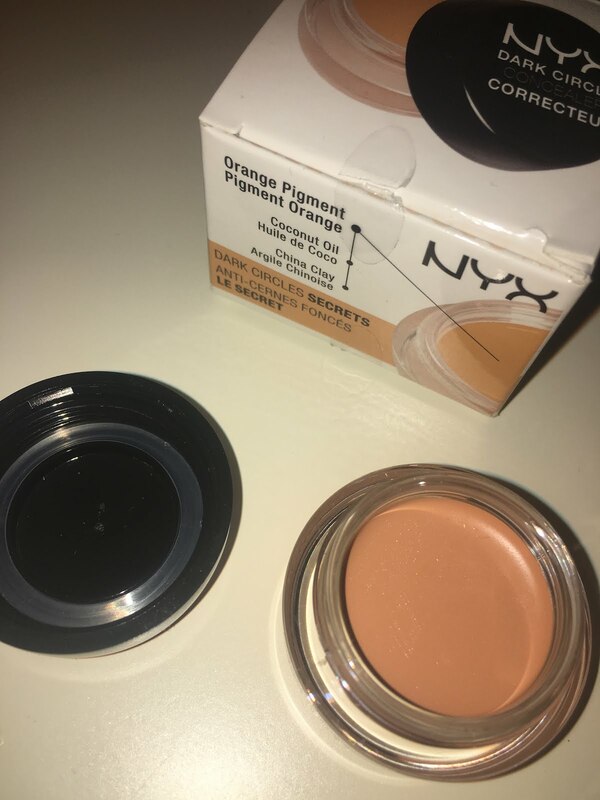 Another product I bought was an under eye dark circle correcting concealer. This quickly became something I use everyday because I'm always really conscious about having bags under my eyes! Its really silky and looks so nice on because it doesn't look orangey at all under concealer. 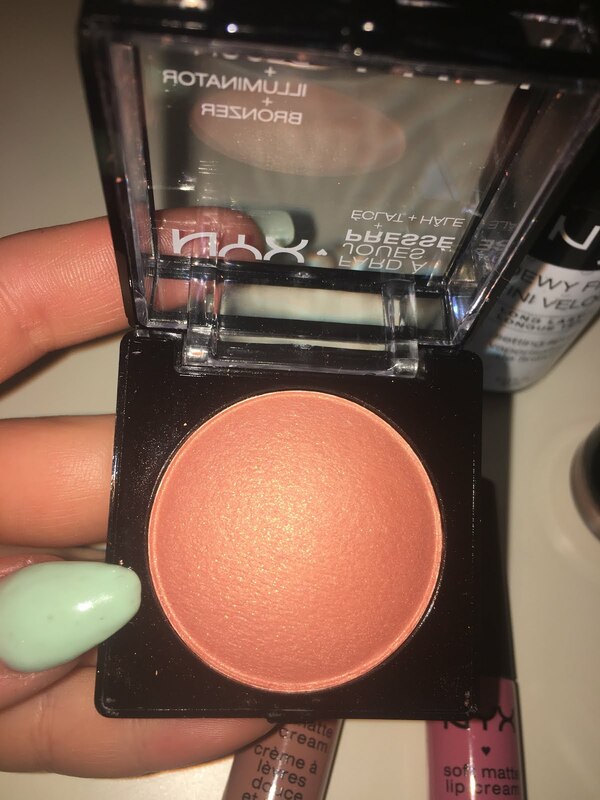 I also use it as an eyeshadow base when I'm putting warm toned eyeshadow on and you get loads in the pot so I think this was really worth the money. I usually put it on after my foundation with a concealer brush and then plenty of regular concealer over the top and it works really well for me. The last nyx product I bought was the Dewy Finish Setting Spray, I got the dewy one because I prefer a slightly glowy finish in summer and I read in some reviews they're both really similar anyway, so I don't think it makes a difference which you choose really. Nyx and Sleek have quickly become my favourite drugstore make up brands because theyre great quality for such a low price!